Area rugs can easily and elegantly anchor a room. A good rug is capable of doing many things, such as covering and protecting a hard floor, adding warmth, making large spaces seem cozier, and creating eye-catching pops of color. 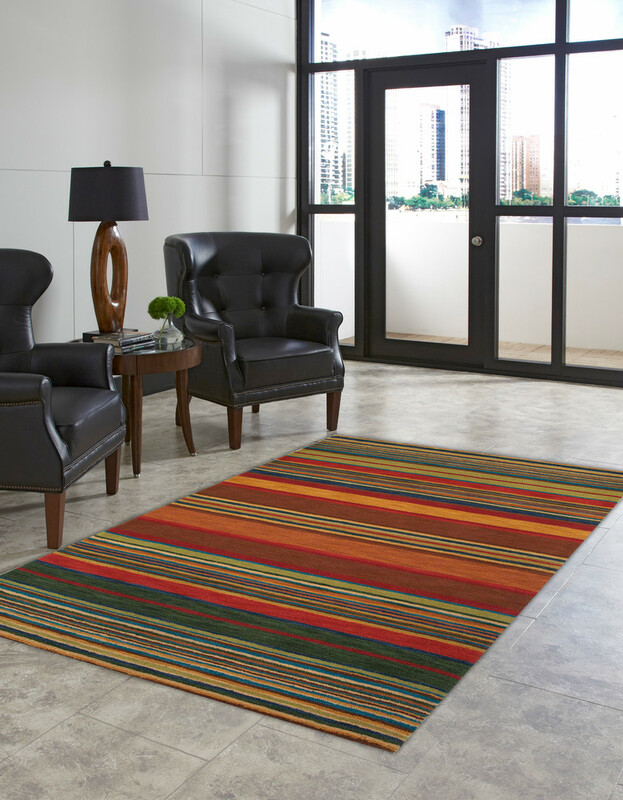 The key is to choose high-quality rugs that look great and last longer. Let’s take a look at how you can choose the right rug for your room. If you’ve ever bought a rug before, you know there are cheap rugs, expensive rugs, and rugs that fall somewhere in between. That middle ground is generally your best bet for finding a rug that fits your needs, budget, and space. In terms of cost, there are price points for every budget. When you’re learning how to choose a rug, it’s essential to understand the difference in cost, since that often affects quality, too. Cheaper rugs are typically smaller. You’ll know them by their backing, which is generally low-quality rubber. These rugs are ideal if you don’t need a high-quality piece. For example, if you’re furnishing your home on a shoestring budget or if you’re placing rugs in spots that get a lot of traffic, such as near a sink or by the front entrance, something cheaper can be ideal. Keep in mind, however, that inexpensive rugs might fall apart the first time you try to clean them. Fortunately, there are plenty of rugs in the middle of the spectrum. You can easily find large area rugs in designs you love, such as mid-range tribal rugs or Oriental rugs. At this price point, the rugs won’t be authentic, but they’re likely to be of good quality. Besides, you’ll get a gorgeous piece at an affordable price. Top-of-the-line rugs understandably cost more. When your budget allows you to spend hundreds or even thousands of dollars on a rug, you’ll get the highest possible quality. The carpet fibers will be softer, the colors will be more vivid, and the rug itself will simply last longer. At this price point, you can find large area rugs, artistic handmade rugs, and authentic Persian rugs. Materials, quality, and cost often go hand in hand. For instance, cheaper rugs usually use synthetic materials, which you can easily recognize. When you’re shopping for rugs, make sure you take a hands-on approach. Feel free to touch everything. You’ll notice that cheaper, lower-quality rugs feel more rough, since the carpet fibers aren’t as soft. If you’re searching for rugs that fall somewhere in the middle, you’ll have an endless variety of quality picks. Materials include wool and cotton, both of which feel soft and smooth beneath your feet. The styles of mid-range rugs are different as well. 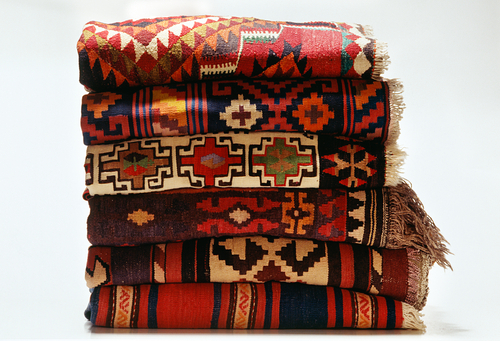 Look for flat-woven kilim rugs or those featuring shag fibers or even indoor/outdoor materials. 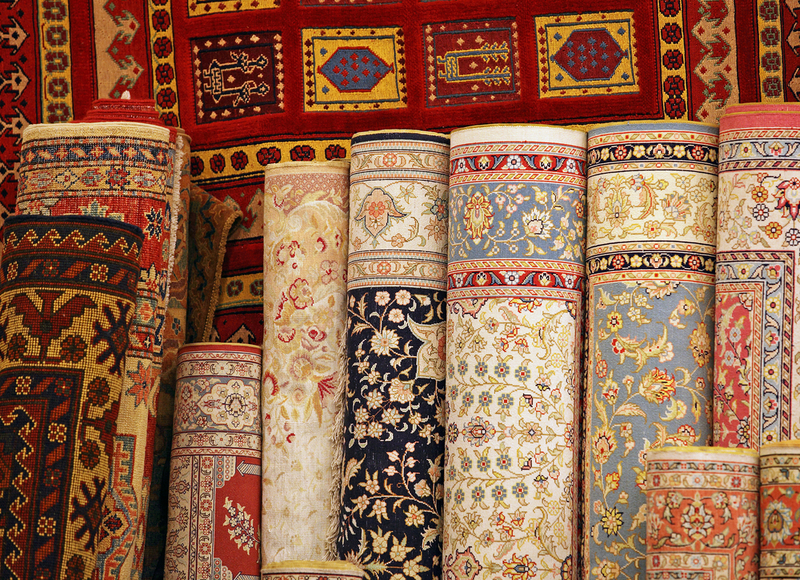 Top-quality rugs are almost exclusively made of wool, cotton, and even silk. They’re rich, opulent, and generally exquisite. Handmade rugs have an altogether different texture. Walking on a high-quality carpet often feels like walking on clouds. These days, many rugs are machine-made. This method is cheaper, it takes less time, and the price point allows a larger number of people to afford lovely floor coverings. That being said, handmade rugs are almost always better. They’re also more expensive, but you’ll get what you pay for and then some. Handmade rugs can take upwards of a year or more to complete, and the knot quality reflects that. 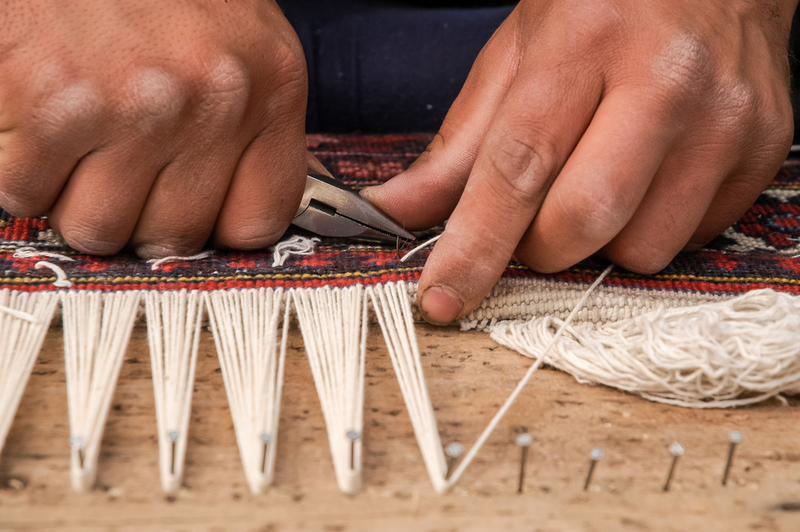 A typical handmade rug can last generations if properly cared for. Although there are Persian rugs and Oriental rugs made by machine, they don’t compare to their handmade counterparts. At the same time, however, they often make more sense for the average home decorator. Not everyone has the budget for a handwoven carpet. pride in the creation of intricate, richly colored carpets. The oldest knotted carpet dates back to the fifth century B.C. Historians believe that Cyrus the Great introduced rug-making to Persia, in large part because the conqueror’s body was completely covered in stunning carpets when he was buried. 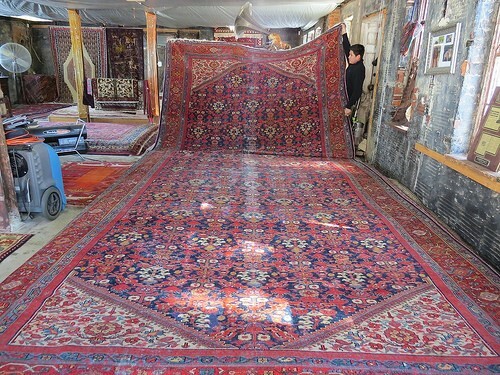 The highest quality Persian rugs are still handwoven. They take time, skill, and an eye for color, design, and detail. More affordable options are available, typically as area rugs. These tend to be machine-made, which makes them more economical. Whether made by hand or machine, a Persian rug is something special. It’s the type of floor covering you take special care of, and you may even decide to pass it down to the next generation of your family. If you’re lucky enough to own an authentic, handwoven Persian rug, that’s almost certainly what you should do. You can place a rug almost anywhere. Well, you may want to avoid layering a rug over carpet, since that’s one of the first things you’ll learn about placing a rug. Although you can layer, it tends to look bulky and overpowering. Most people place their rugs over tile, hardwood flooring, and other hard flooring types. Area rugs almost always look best in the center of a room, although there are exceptions. In dining rooms and living rooms, a central rug placement sizes the room. In large spaces, a central rug can make the room comfortable and cozy, while an area rug in the right color can create the illusion of a larger size in small rooms. In bedrooms, kitchens, and home offices, center placement isn’t always the right choice. In these rooms, smaller rugs often work better. Surround the bed with rugs to keep your feet from getting cold and to tie the room’s décor together. Place a large area rug off-center from your desk in your office, and try the same placement in your kitchen. The right rug has the power to bring your entire room together because it’s so easy to mix, match, and create contrast with vivid colors and eye-catching prints. Choose among traditional, contemporary, or transitional pieces, with neutral color palettes in your primary spaces and vibrant shades in your private or personal rooms. Have a question about rugs? Let us know in the comments section. If you’re ready to start browsing rugs, visit our site for a wide selection of over 10,000 rugs.